Blizzard have published the floor map and schedule for BlizzCon 2014, which is useful for attendees hoping to navigate through both space and time. If you’re not attending and have the temerity to still want to know what’s going on, you can either check out your friendly neighbourhood PC games website or grab a virtual ticket, which grants you access to a live stream for the not-insignificant sum of £24.99. 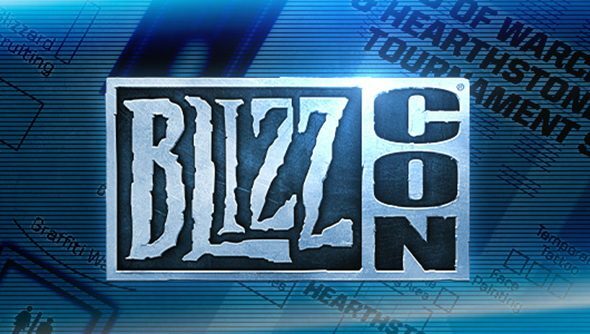 BlizzCon 2014 takes place in California’s Anaheim Convention Centre on November 7th and 8th, encompassing the StarCraft II WCS global finals as well as the Hearthstone World Championship and World of Warcraft Arena World Championship group stages. That’s a lot of groups and a lot of stages. To watch men in glass cages enthusiastically hammering away at their keyboards like dystopian Office Space nightmares, you can either hop on a plane to California or purchase a virtual ticket that allows you to watch the event’s live streams from any number of different angles. Either way, the freshly published schedule allows you to plan your days efficiently and with the minimum of fuss. There’s a presentation of the Warcraft film with director Duncan Jones that I’m particularly interested in. Using the handy schedule I now understand that said presentation takes place at 23:15 CET on Friday.